The wonders of the universe are indeed waiting for humans to come and explore the endless marvels that are showcased live every night on the big screen (the night sky), which looks back down on us puzzled on why it is taking so long for humans to get back on track. 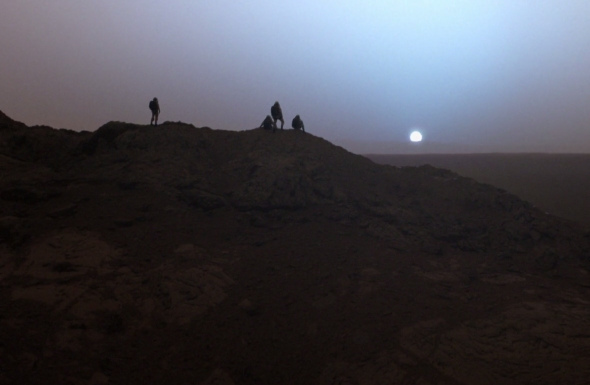 Sunset on Mars, based on images taken by the Spirit rover. This is one of the most wondrous and moving paeans to space exploration I have ever seen. The words of Sagan are magnificent, of course. And the effects are stunning, photo-realistic and very compelling. But take a moment and let this sink in: Nearly every location depicted in this video is real. These aren’t just fanciful places made up in the head of a special effect artist; those are worlds in our solar system that actually exist. And many were based on images taken through telescopes, or probes that have physically visited these distant locales. Sunset on Mars. The weird ridge wrapped around Saturn’s moon Iapetus. The ice fields of Jupiter’s moon Europa. Even those cliff divers? Yup: that’s Uranus’s moon Miranda, with the highest cliffs known in the solar system. Every time the scene changed in the video, my jaw dropped a little further and my brain soared to a new height. Nothing in there is impossible; no faster than light travel, no wormholes. Even the space elevator shown towering over Mars and the huge cylindrical rotating colony in space (did you notice the Red Sea in it?) are problems in engineering, not physics. We can build them. And each is a dream of mine, a thing I see when I close my eyes. Cruising through the geysers of Enceladus, skimming over Jupiter’s clouds, floating in Saturn’s rings (and note the scale of the rings in the video; the chunks of ice and the height of the rings are correct). Right now, we can only see these adventures, these possible futures, when we dream. I choked up several times watching the video, seeing these visions laid out. But it was that last shot, the close-up of the woman watching the airship exploring the clouds over Saturn; that was what pierced home. For now, we send our robots, our machines into space. We learn a lot that way, and there is no end to what we can discover. But this is a human endeavor, a human adventure, and there will come a time when the views of those worlds you see in this video will no longer be science fiction. To some of us, someday, those worlds will be home. Photo by Erik Wernquist, from the video. Update (Nov. 30, 2014 at 00:20 UTC): Erik Wernquist has more information about the film on his website, and a gallery of stills as well. 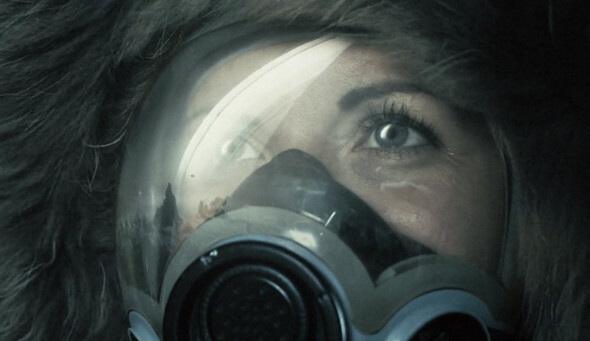 My friend Mika McKinnon has an excellent writeup of the film over at io9; go read it as well.